The Mercedes-Benz GLE is a premium mid-size luxury SUV designed and manufactured by Mercedes-Benz since 1997. Available also in a coupé body style, the GLE is the latest evolution of the original well-rounded M-Class that balances passenger experience, comfort, and high-powered performance. 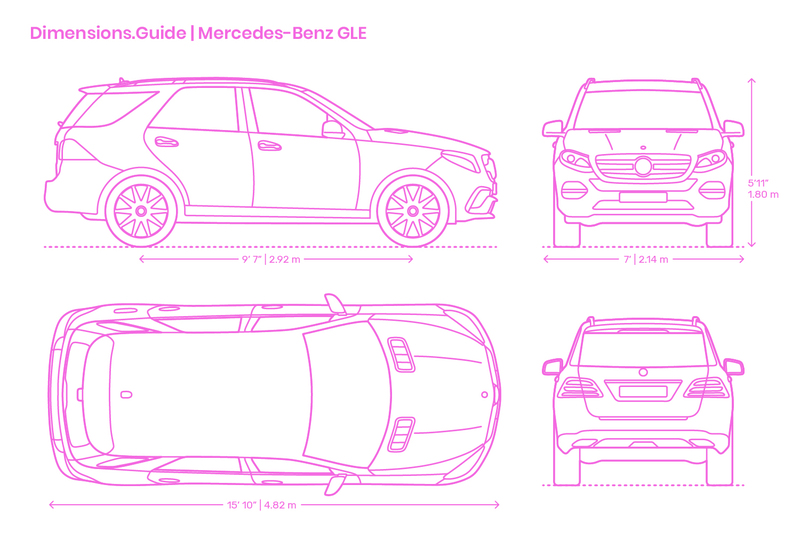 The Mercedes-Benz GLE has an overall length of 15’10” | 4.82 m, width of 7’ | 2.14 m, and height of 5’11” | 1.8 m.